Designed and crafted with affordable quality in mind, do-It-yourself wood cabinets from Premium Wood Products are the ideal choice for kitchen cabinet remodeling and bathroom cabinet remodeling. These popular self-installed wood cabinets combine the unique looks of a custom piece with the practicality and value of a do-it-yourself project. Our wood cabinets are custom made to order, completely finished. Then carefully packaged flat for shipping directly to your home or office. Full instructions are included for easy assembly and installation. We make it simple for you to create all the kitchen and bathroom storage you need within the space available and add all the customized style you want. Call one of our design professionals or email us your ideas to initiate the design process. A digital photo of the space is helpful as a good starting point. We will make note of your wall measurements and the placement of windows, doors and appliances so we have a good dimensional picture of your room. We’ll review your plans and discuss the ergonomic layout and your cabinet style preferences. We’ll discuss how we can coordinate the look you want with functional built-ins that maximize usable space. 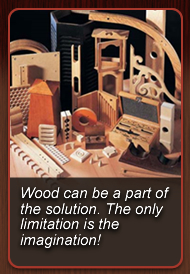 We can work with any wood or wood product of your choice. At this point we will send you a draft with door styles and color choices; you make any changes, including moving appliance locations. Once this is returned to your Premium Wood Products design consultant, we will render you a 3D layout. After any further changes and your approval of the revisions, we finalize the order and price out the final do-it-yourself wood cabinet design. After your order is placed, all the components of the do-it-yourself wood cabinet are skillfully machined at our state of the art facility in DeKalb, Illinois. Your choices of premium colors and rich finishes with superior abrasive and chemical resistance are applied to all exposed surfaces and panels on the sides, face frames, drawers and doors. Each component of the Premium Wood Products knock down do-it-yourself wood cabinet is carefully packaged, labeled and delivered to you with simple assembly and installation instructions. 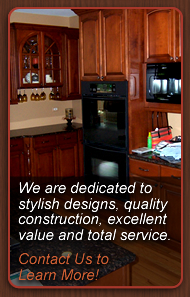 Contact us today for more information regarding self-installed wood cabinets!